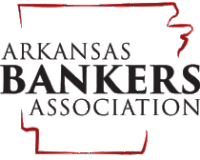 LITTLE ROCK—Two Economics Arkansas associates were among only 12 individuals who received national awards recently. Rita Littrell, Ph.D., director of the Bessie B. Moore Center for Economic Education at the University of Arkansas, and Sheila Humphrey, a Master Economics Teacher at Woods Elementary School in Fort Smith, were recognized during the 52nd Annual Financial Literacy and Economic Education Conference in Baltimore, MD, on Oct. 4. The conference was hosted by the Council for Economic Education (CEE) and the National Association of Economic Educators (NAEE). Littrell received the Abbejean Kehler Technology Award for promoting the use of technology to improve the delivery of economic education. Since she was appointed director of the Bessie B. Moore Center for Economic Education at the University of Arkansas in 2004, she has spearheaded the increased incorporation of new media, such as smart phones, webinars and podcasts, into professional development for teachers. As a result, more educators have participated in economic education training, have benefitted from easier access to online economics training and resources, and have learned strategies for increasing technology into their classroom lessons. Littrell has served on the NAEE technology committee, coordinated technology sessions at the CEE’s annual conferences and participated in the first Training-of-Trainers of Virtual Economics, an interactive database of more than 1,400 economics and personal finance lesson plans. Economics Arkansas is affiliated with the Bessie B. Moore Center as one of six university-based centers for economic education in Arkansas. The awards were presented by the CEE and the NAEE to honor K-12 educators for excellence in economic and personal finance teaching. A complete list of the 2013 winners can be found here. Headquartered in New York City, the CEE is a nationwide organization that focuses on the economic and financial education of students K-12. It provides professional development to teachers, teaching resources across the curriculum and assessment tools. Economics Arkansas is a CEE affiliate. The NAEE seeks to advance the growth, service and recognition of economic educators through conferences, publications and awards. The association articulates concerns, needs and long-term goals in the field, forges new and needed initiatives and represents the profession to its various audiences. It is based in Omaha, Neb. The Bessie B. Moore Center for Economic Education is administered by the Sam M. Walton College of Business at the University of Arkansas Fayetteville. It was established in 1978 with a grant from Phillips Petroleum Company to provide comprehensive economic instruction to teachers, including the development of standards-based resources and programs, providing consulting services and conducting research. Named after the founder of Economics Arkansas, Bessie B. Moore, it is currently under the direction of Rita Littrell, Ph.D. Decision-making skills and the costs associated with each decision. Financial skills to better manage their resources in the future. About the global market and their future roles as producers and consumers. NOTE to editors: Headshots of Littrell and Humphrey available upon request.